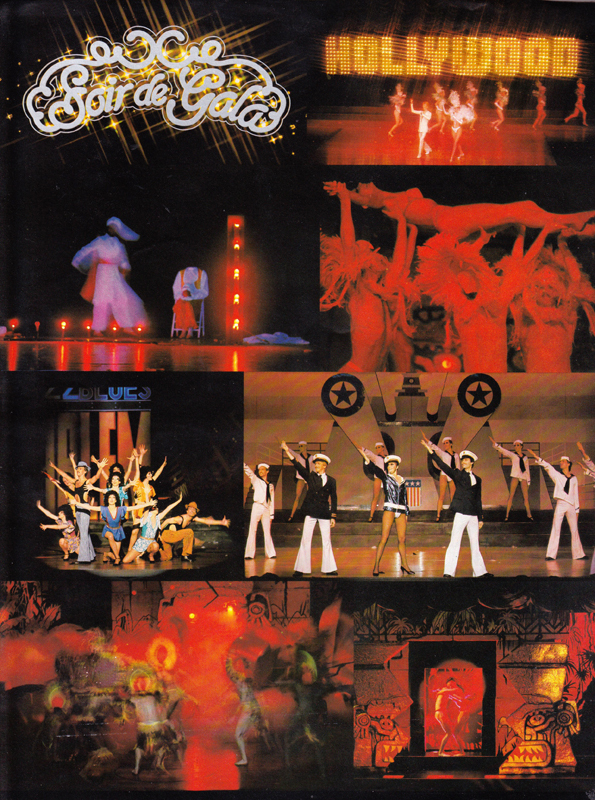 The show is a big revue in a Parisian style, presented by the Australian production Regmat. 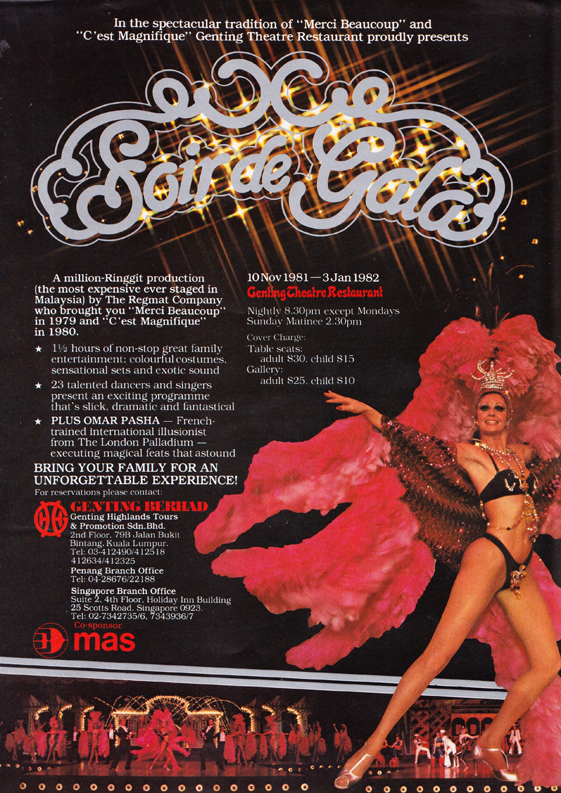 We were already booked by Redge & Mathieu earlier in 1982 at the Wrest Point Casino in Hobart – Tasmania, Australia. The company on stage is nearly all Australian. The delighted audience is mainly Malaysian, of Malay, Chinese or Indian origin. Every evening they are about 1000 people in the theater, often whole families, seated at large round tables for a Chinese meal, before the show. The Casino, hotels and amusements’ resort, is built on the top of the Genting Highlands mountain at a height of 2000 meters (6000 feet). It is at 50 Km (31 miles) away from the capital city Kuala Lumpur. There is an equatorial heat in Kuala Lumpur and the temperature is cooling as soon as you drive up. The road gets crazy with many curves, looking over breathtaking precipices. The virgin forest is very dense. Permanently, works are in progress to make the road better and safer and to improve the low protection walls. It is hard labour done by men and women. At the top of the mountain, the hotels and the casino are in the mist, or even in the clouds. It looks like being in some cartoon or in the landscape of some old times Chinese prints. Our room is at an angle to the main hotel and it has 2 large perpendicular windows. Quite often, when both windows are open, a cloud comes into the room through one window and leaves through the other. The passion for gambling attracts crowds, especially the Chinese people of Malaysia. During that time, women and children are entertained by various childrens’ games, movie theaters, swimming pools. Omar Pasha offers a rather unique blend of theatrical illusions. Illusionist Omar Pasha of Paris is one performance you must not miss. Omar Pasha had the audience completely astounded.